If you are reading this post you probably already took and passed USMLE Step 1. Congratulations if you knocked that out of the park. I am sure now you are looking for sources and study tips for Step 2 CK. 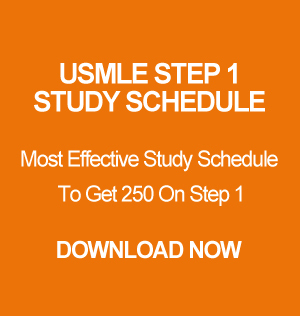 Many of you probably heard from your peers that USMLE Step 2 Ck is easier then Step 1. Well, I will tell you something that will help you better prepare for this beast. First of all, USMLE Step 1 materials are harder but the exam is easier. In Step 2 CK, material is easy but the exam is hard. So do not take it lightly. The idea here is that, in Step 1, multiple choices has only one right answer. However, in Step 2 CK almost all the answer choices are right but you have to pick the best one, which makes it difficult. Now let’s get to the main preparation part of this Step 2 journey. Now let me explain how to use the above method to score high on the exam. Start your preparation by reading the OB/GYN section of the Yale. Just read the OB/GYN section like a newspaper. Once you are done reading it once, do the questions on the back of the OB/GYN section. Now go back and read it again and memorize the important stuff that you need to memorize. It will take you about 4-5 days to read it twice. Once you are done reading the OB/GYN section of Yale twice, now you are ready for the USMLE World. Fire up UW and do the all the OB/GYN question. Read the question and explanation carefully. Do not write anything in Yale’s G. Instead, type up the notes and then print it and punch hole it and put it in Yale. This way your notes will be clear and easy to modify later on. Now that you are done with OB/GYN section. Start reading the Internal Medicine section from Yale. Read the entire IM section twice and then start with USMLE World. This should take you about 20 – 25 days. Do not write or type any notes. Just read USMLE World like a book while doing it. Once you are done with the internal medicine section from both UW and Yale. Now, repeat the same thing for Pediatrics, Surgery and Psych. This should take you all total about 2 months. Once you are done with Yale and UW now you are ready to take NBME 4. Do not be nervous. Go ahead and take NBME 4. It does not matter what you get. Once you are done with NBME go ahead and start with UW again. This time mixed and timed. Do not read Yale anymore. Just focus on UW. Finish UW in 16 days. If you do 3 blocks a day you should be done in 16 days. Once you are done with UW take NBME 6. Once you are done with NBME 6. Do UW again in 16 days and take UWSA. If you average NBME 4, 6 and UWSA score and get over 235. Go ahead and sign up the exam and you should be good to go. Good luck!!! It’s been awhile I did not blog. But I have some good news for those who are taking USMLE Step 2 CK. If you are studying for CK or planning to study for CK I am sure you have asked your friends about which resource to use and almost everyone will tell you to read Masters The Boards (MTB) 2 and 3 with USMLE World. Many people already scored high with these three resources. So when you try to study from these 3 resources I am sure you are thinking why isn’t there 1 book just like Step 1’s First Aid, where you can simply take notes from USMLE World on FA and keep on reviewing FA. Not only that, you don’t even know which section to study from which MTB so at the end it becomes a mess and you will get irritated and it gets harder to review 2 books before the exam. For those who are looking to study from only 1 source and score 240+ on Step 2 CK there is a good news. For my Step 2 CK, I only used Yale-G’s Refined Clinical Review. It is an amazing book and the author wrote this book by combining high yield information from USMLE World, Kaplan Lecture Notes, MTBs and USMLE Secrets. Almost everyone I know who used the book scored over 240 on their CK. It is easy to read and has almost all the high yield information from the USMLE World in a organized way. After going through the book my USMLE World scores averaged around 80. With that said, I will recommend this book to all my readers. Now you might think I must be advertising for the book. Not at all, just like you, I also have MTB and Kaplan Lecture notes. In fact I read the Master The Boards 2 and 3, they both are amazing but missing so many information that I almost got frustrated and bought Yale-G’s Refined Clinical Review. The book is concise and to the point. I barely have to take any notes from USMLE World because almost all the points from the UW is in the book. Not only that, after every chapter the author included about 50 – 60 questions to drill the information into your head. Give it a shot. You wouldn’t regret it. In fact you can throw away all your other CK resources and stick to just Yale-G’s Refined Clinical Review + UW. Read the book 3 times and do USMLE World 3 times. You will for sure ace the exam. Good luck on your studies!